Here, in the Revised Common Lectionary texts for the feast of the Presentation of the Lord, we get the stories of Simeon and Anna. In the midst of a story of faithful, observant behavior, we get the unplanned, unexpected breaking in. The Gospel writer Luke is invested in situating Mary and Joseph as ritually observant Jews. Luke is laying a foundation for Jesus’ critique from within the tradition- not as an outsider, but from within. So as faithful Jews, Mary and Joseph had the infant Jesus circumcised on the 8th day; and remembering how God passed over, on the 31st day, they would have brought the baby to the temple to dedicate the first-born male child; on the 40th day, Mary as the mother of a baby boy would return to the temple for their ritual purification. But somewhere amidst dependable ritual and centuries of tradition, Simeon and Anna interrupt. Simeon had been waiting. Waiting and waiting. Waiting with the promise that he would not die until he had seen the Messiah. When my uncle was diagnosed with cancer last summer, he asked if he might stay alive until the World Series. The Doctor told him, more like the All-Star break. We all mark time in our own measures of sacredness. Simeon, has been looking, watching and waiting for the consolation of Israel. Here, before the Infant can even speak, before Jesus of Nazareth can even utter the words, “Who do you say that I am?” Before Mary’s son would be raised up and hung on a cross drawing all to him? Here before all of that, Simeon declares the revelation of God’s love in the Christ. How did Simeon know this was the Messiah? Surely, there were other baby boys in the temple that day. 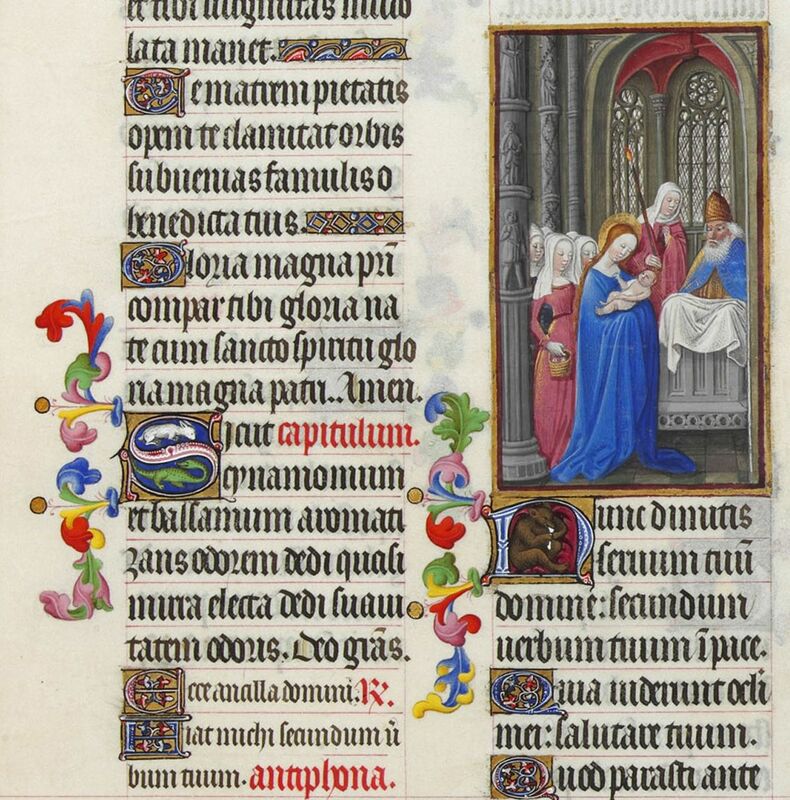 Were Simeon’s eyes clouded over with cataracts? Did he know his Savior by the touch of soft baby skin or the sweet smell of milk still on the Infant’s lips? How did Simeon see and proclaim this? In our liturgies, we train these eyes of flesh, again and again, to see with the “eyes of faith.” Simeon’s song, known in the Latin as the Nunc Dimitas is often said or sung in the Compline service just before bed. It is sung sometimes after receiving the Eucharist and sometimes in funeral liturgies. At the end of the day, at the end of the Eucharist, at the end of life, this is what we aspire to: to go in peace, to see salvation for all peoples, to proclaim the glory of God. To see and to proclaim. Those of us who are trying to figured out what our particular Christian witness in social media ought to take these words to heart. 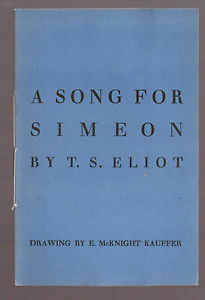 What did Simeon have, even at his old age? Eyes to see and voice to proclaim. 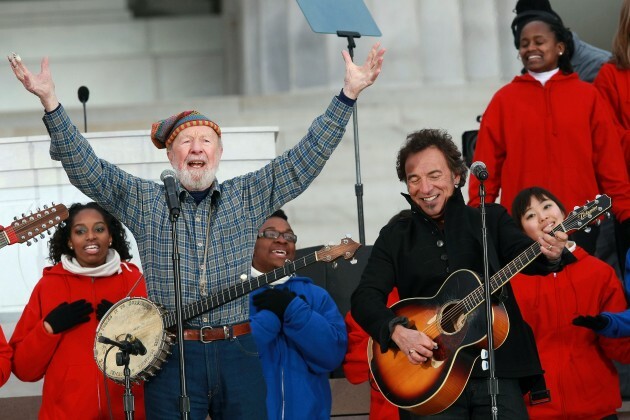 This week, the advocate musician Pete Seeger died. In 2009, there was a giant concert for Pete’s 90th birthday. At the time, Bruce Springsteen said, “Now, despite Pete’s somewhat benign grandfatherly appearance, you know, he is a creature of a stubborn, defiant and nasty optimism.” Do you hear Simeon in that? A stubborn optimism? Bruce tells the story of performing at President Obama’s with Pete Seeger. They were preparing to sing, “This Land is Your Land.” Bruce asked what they should do. Pete said, “Well, I know I want to sing all the verses. You know, I want to sing all the ones that Woody wrote, especially the two that get left out, you know, about private property and the relief office.” Bruce continues, “And I thought, of course, you know, that’s what Pete’s done his whole life: he sings all the verses all the time, especially the ones that we’d like to leave out of our history as a people, you know?… Pete Seeger still sings all the verses all the time, and he reminds us of our immense failures, as well as shining a light towards our better angels in the horizon, where the country we’ve imagined and hold dear, we hope, awaits us.” With Herod still on the throne, with the savior still just an infant, with the world not yet changed, and with that last stanza, about a sword piercing Mary’s own soul too, Simeon sings all the verses. The hymn writers were trying to see a different way- to see a world where the king doesn’t plot to slaughter the innocents but prays for people everywhere. In later interviews, Gloria would say the Christmas carol was a plea for peace, written in the midst of the Cuban missile crisis. A stubborn optimism. A willingness to see a promise and a hope not yet realized. My colleague with the cornea transplant will put steroid drops into his eye for the rest of his life. There’s always a risk that the transplant will be rejected- that this new eye will no longer work. He must be disciplined, stubborn even, in the daily practice to attend to his eye. Simeon’s vision came after years and years, a righteous and devout man. Sure, God can surprise us all, but this is a cultivated practice of searching, seeing and proclaiming, constantly turning our eyes to the light. Can we see what Simeon sees? Will we practice that stubborn, defiant optimism? Can we look upon a world, broken and bruised, at war or plotting for war, and see a light to enlighten the nations? Can we look upon an intractable position in the Middle East and see the glory of God’s people? Can we sing all the verses? Even when our eyes are clouded, even when the promises of God are still as unformed as a 40 day old infant, even today with whatever weight you are carrying. Even today. That’s the invitation.